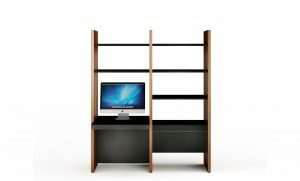 The reversible Sequel compact desk is perfect for smaller spaces. The single-level drawer can hold over-sized keyboards and includes wire management slots in the back for rechargeable items. The magnetically attached tilt-down front panel provides easy access to wall connections while keeping all wires out of sight. 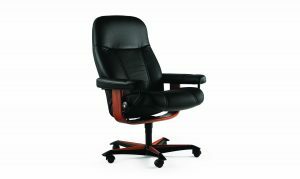 An optional add-on back panel, model 6008, will conceal wiring when the desk is free floating. 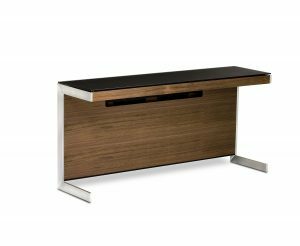 During setup, the compact desk can be configured with the drawer on either side for left or right-handed users. 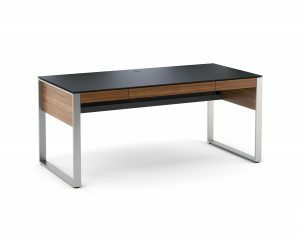 A sleek black glass top completes the look of the Sequel compact desk.